Bollinger Mill State Historic Site cordially invites you to participate in the annual Mississippi River Valley Scenic Drive. Missouri State Parks will sponsor special activities at the historic site both days. The Mississippi River Valley Scenic Drive is an invitation from the rural communities of southeast Missouri for you to join them as they celebrate spring with good food, festivals, folk music, dancing, crafts, living history events, camping, scenic vistas and much more. At Bollinger Mill State Historic Site, visitors can enjoy the 19th century gristmill and the oldest covered bridge in the state of Missouri, the Burfordville Covered Bridge. 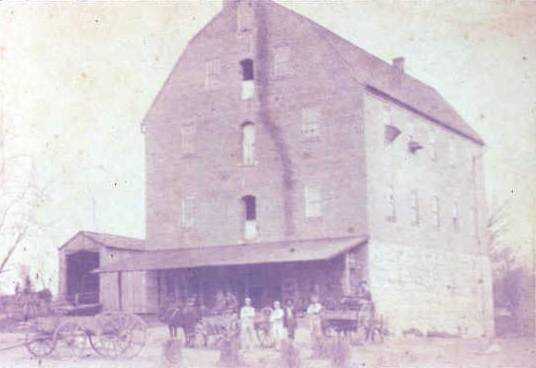 Visitors will have the opportunity to see all four floors of the mill on a free self-guided tour. Local folk band Back Porch Company will also be performing at the site on Saturday, April 27, from 2 p.m. to 4 p.m.
Back Porch Company is an acoustic band that plays for the pleasure of making music together and sharing it with others. Members are Carla Anderson, Richard Johnson, Stuart Anderson and Warren Anderson. Their playing encompasses a wide range of musical styles, including folk, American traditional, Irish, Christmas songs from around the world, gospel, an occasional wisp of bluegrass and some pop music. Instruments include bass, accordion, recorder, guitar, banjo, ukulele, whistles, Appalachian dulcimer, harmonica, recorder, mandolin, hammered dulcimer and the bodhran.